The coastal state is facing a beef shortage with traders suspending import of meat from Karnataka alleging harassment by cow vigilantes. 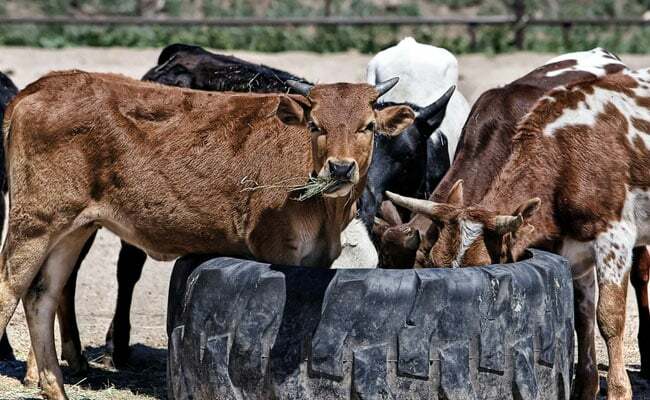 Panaji: Goa is likely to face shortage of beef for the next couple of days as slaughter houses in neighbouring Karnataka have refused to supply meat till the government takes steps to stop harassment by cow vigilante groups, an official said today. An association of traders earlier said its members have stopped procuring beef from Belagavi in Karnataka. All Goa Qureshi Meat Traders Association president Manna Bepari told PTI that Chief Minister Manohar Parrikar yesterday assured them to discuss the issue with the police. However, he said the chief minister is currently out of station and is expected to return only after two days. "The suppliers from Karnataka have categorically said they will not resume supplies till action is taken against the so-called cow vigilantes," he said. Manna Bepari said they can expect some action only after the chief minister returns to the state, "so until then the supplies will not resume." He said around 25 tonnes of beef is brought from Belagavi every day. Cow protection groups, including the Gau Raksha Abhiyaan, have alleged beef in Goa is brought from illegal slaughter houses in Karnataka, a charge denied by Manna Bepari. He said non-availability of beef has resulted in a rise in the prices of mutton and chicken in the state. Gau Raksha Abhiyaan leader Hanumant Parab earlier claimed cattle were being slaughtered in abattoirs across the border without approval from authorities. "Due to this we have undertaken stringent checks (on the Goa-Karnataka border) along with police," he said. Manna Bepari said traders want immediate intervention by the state government in the matter. Till then, they will not buy beef from the neighbouring state. Beef sale has been banned in Maharashtra, which also borders Goa.